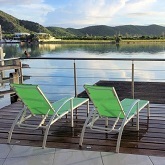 A very pri­vate prop­erty com­prising of 3 Caribbean-​style cot­tages. Seasonal rates apply from US$1,500 per night/US$10,500 per week. 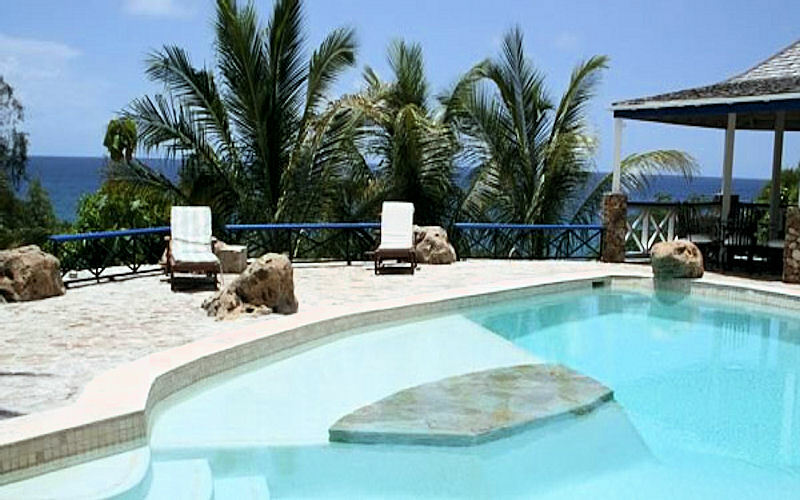 Beautiful 4-bed­room villa with par­tial views of the sea & sun­set, plus moun­tain views at the rear of the property is renting from US$2,000 weekly. 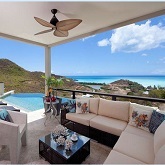 A brand new home on a pri­vate island in the heart of one of Antigua’s most sought ​after loca­tions is available for rent at US$3,500 per month. A styl­ish trop­i­cal heaven nes­tled on the hill­side within Sugar Ridge, and boast­ing of spec­tac­u­lar views is renting from US$5,000 weekly. Stun­ning and totally refur­bished 2-bedroom villa on Jolly Harbour’s prized South Fin­ger with state-​of-​the-​art appliances is renting from US$1,250 Weekly. A newly refur­bished and fur­nished, lovely 3-bed­room, 2-bath water­front villa on the South Fin­ger of Jolly Harbour is available for rent at US$2,000 monthly. 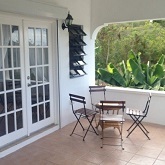 Fabulous 3-bedroom home situated in Crabbs Hill, with spectacular panoramic views of the Caribbean Sea is available for rent at US$4,500 monthly. Loca­ted in the desir­able gated com­mu­nity of Jolly Har­bour, Villa 412E is an attrac­tive two bedroom villa available to rent from US$800 Weekly. 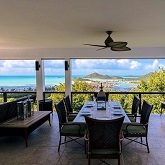 With its cre­ative design done by an acclaimed London firm and set within the desir­able and gated com­mu­nity of Boons Point, this beautiful home is renting from US$5,950 Weekly. Turtle­berry is a delight­ful one storey house located in Tur­tle Bay, a smart res­i­den­tial area on the peninsular at the outer edge of Fal­mouth Har­bour. Renting at US$1,600 Monthly. This fab­u­lous 5-bedroom hol­i­day home occu­pies an envi­able spot within the exclu­sive Gal­ley Bay Heights gated com­mu­nity. Available to rent from US$10,500 Weekly. 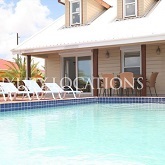 Generously priced at US$1,200 monthly, excluding utilities, this delightful 3-bedroom, 2-bath villa located in Orange Valley is now available for long term rental. Set within the gated com­mu­nity of Jolly Har­bour and just a short walk from South Beach, Villa 237H is an attrac­tive two-​bedroom villa avail­able for hol­i­day rental from US$900 Weekly. A rare oppor­tu­nity for a long-​term rental home in the pic­turesque leafy neigh­bour­hood of Fitches Creek has become avail­able. Renting at US$2,500 monthly. Booking a holiday just got easier! Check out Lush Locations user-friendly new website and browse the widest selection of stunning rental properties. 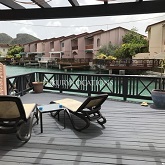 Stylish 3-bedroom villa in a waterfront location in the gated community of Jolly Harbour is available for long-term rental at US$4,500 monthly. Booked your winter holiday as yet? 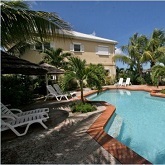 Lovely 4-bedroom villa with pool and access to the beach within walking distance. 'Heavenly stay', 'highly recommended' and 'staff that went out of their way to help' are just some of the reviews. 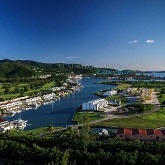 Six, 3-bedroom apartments each with spacious private terraces situated on the Golf Course of Jolly Harbour. Seasonal rates from US$ 1,750 weekly. 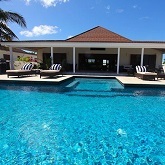 Luxurious 3-bedroom, 3.5 bathroom villa within the prestigious Sugar Ridge Resort. 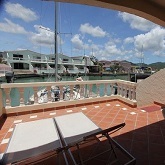 For Rent from US$4,095 per week. Located within the gated community of Galley Bay Heights, this 5 en-suite bedrooms villa is a spectacular tropical getaway, boasting a magnificent panoramic view of the ocean from all the rooms. Seasonal rates apply. Contact award-winning Luxury Locations real estate for information on citizenship by investment. 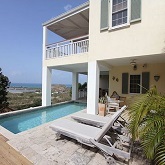 Two bedroom villa in Jolly Harbour for holiday rental starting at US$750.00 per week via Lush Locations. 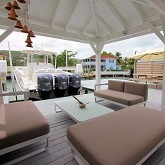 Luxurious waterfront villa situated within the highly desirable Jolly Harbour Resort. 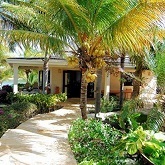 A fabulous 3 bedroom, 4 bathrooms beachfront holiday rental home available through Lush Locations. Weather getting you down? 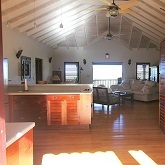 This lovely two-bedroom holiday home is within walking distance of one of Antigua’s best beaches. Available from just US$600 a week. The sun is free of charge. Grey skies giving you the blues? How about rejuvenating here? Jaw-dropping panoramic views and exceptional living spaces are found at the first-class Tamarind Hills community. Meet the award-winning team at holiday rentals firm Lush Locations who specialise in making vacation dreams come true. 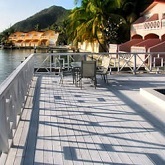 A lovely 2-bedroom waterfront villa available for rent from just US$1,300 a week. A relaxing lifestyle awaits the owner of this two bedroom, two bathroom harbourside home located in the South Finger of Jolly Harbour. August Hill has been designed and detailed to uncompromising standards and beautifully decorated with many influences of a classic Italian family style home. 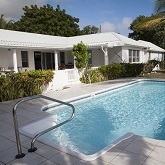 FABULOUS VILLA NEAR ENGLISH HARBOUR REDUCED IN PRICE! 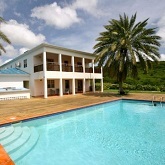 White Lodge, a beautiful, luxurious villa near English Harbour with private pool and the opportunity to purchase a piece of land adjacent to this lovely home. Villa Bora, is a luxurious, three bedroom executive villa set on the outskirts of Jolly, with a beautiful, lush, private garden. 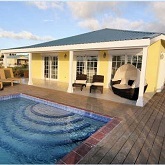 LUXURY VILLA IN JOLLY HARBOUR NOW ONLY US$ 565,000.00!! 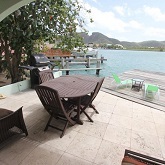 Villa 250C, a unique, luxury villa located directly on the water in the south finger of Jolly Harbour. 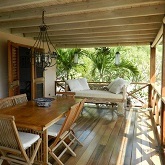 FABULOUS NEW LUXURY HOLIDAY RENTAL ON JOLLY HARBOUR PENINSULAR! 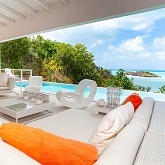 Palm Point is one of the finest Private beach villas in Antigua. Situated on the peninsular of The Harbour with triple aspect views there are few to equal it.